Do you own a business? Have you amassed a substantial amount of assets? Have you taken steps to protect your company and your wealth? If either of the first two answers are yes, the third answer should also be a resounding yes as well. If you do not take steps to protect your company and your assets, you and your loved ones are vulnerable to financial insecurity and to the loss of your legacy. What is involved in asset planning or business planning? How can a Merrimack Valley business planning lawyer help me? A business is often a primary source of wealth for those who have invested their money and effort into causing a company to grow. Unfortunately, if you have most of your money invested in your business, there may be little or no liquid assets. When you pass away, the estate taxes and other costs could result in your heirs who inherited the business being forced to sell it so estate taxes and other debts and expenditures can be paid. If you have taken other steps to reduce probate taxes, protect heirs and ensure the assets were safe, then you do not need to worry about your money or property being lost or taken due to unexpected events. Business owners also frequently structure their companies as an extension of themselves. When you create a partnership or sole proprietorship, for example, you become personally responsible for debt accrued by the company. If the business becomes bankrupt, personal bankruptcy would necessary have to occur as well. The creation of a corporation could result in the mitigation or elimination of the risk to your personal assets caused by some types of business ownership. Asset planning and business planning could involve a variety of different steps related to structuring ownership of your company and facilitating the transfer of operational control and ownership to trusted heirs upon death or incapacity. Restructuring ownership of your business. Forming a Limited Liability Company (LLC), or an S-corporation or C-corporation can help you to protect your personal assets and, in the case of incorporation, can make transfer of ownership shares simpler. The creation of a buy/sell agreement and other legal documents to clarify your ownership interest, role within a business, and the rights of co-owners in case of departure, disability or death. The use of trusts to reduce or eliminate the assessment of estate taxes so business or personal assets do not need to be sold in order to satisfy obligations to the IRS triggered upon a death. The development of an incapacity plan to ensure that business operations can continue and assets can be carefully managed in the event of illness or injury. These are just a few of many different steps that you could take to protect your assets and to protect your company, no matter what the future brings with it. Your plan for your assets and your organization should be tailored to you. How Can a Greater Merrimack Valley Business Planning Lawyer Help You? 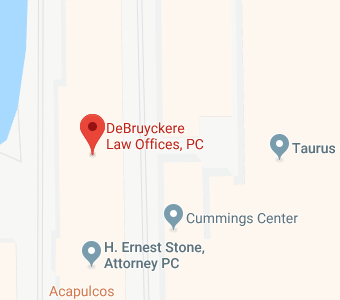 DeBruyckere Law Offices has focused its practice on representing clients in estate planning and elder law matters. Asset and business protection are the perfect examples of situations where both elder law and laws related to wills and estates are implicated. If you want an attorney in Massachusetts or in New Hampshire who knows how to help you build and protect wealth and who understands how to transfer your company quickly, our attorneys are here to help you. Give us a call at our New Hampshire number, (603) 894-4141 or at our Massachusetts number, (978) 969-0331, or contact us online to learn more about the business protection and asset protection services we offer.